Check Your Thyroid: All You Need Is – A Thermometer! Many people have a problem with the thyroid gland, without being aware of it. Frequent obesity or inability to lose weight, indicates malfunctioning of the thyroid gland. It can be a serious problem if not detected on time or if not treated properly. If you have some similar symptoms, don’t immediately run to the doctor, but first make your own home test, which will tell you what to do next. This test is simple and is known as Barney test. Everything you need is a thermometer. First, shake it well and make sure that does not show a temperature higher than 35 degrees Celsius (95 degrees Fahrenheit). Leave it on the night stand beside the bed, and the first thing to do when you wake up in the morning is to put it in your armpit on bare skin, without having any clothes on. Hold it for 10 minutes, see the result and write it down. Depending on the result, there are different diagnoses. If your temperature is between 36.5° C (97.7° F) and 36.8° C (98.2° F), the thyroid gland is working normally. 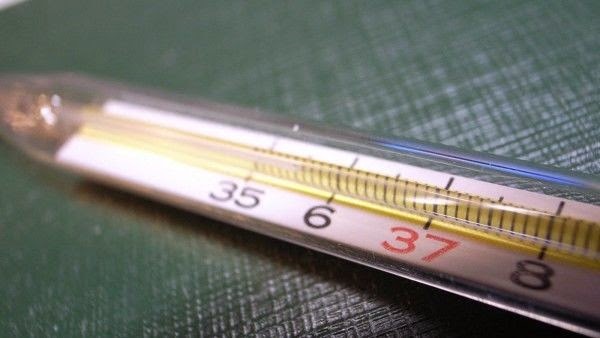 If your temperature is below 36.5° C (97.7° F), then the work of the thyroid gland is slower. The symptoms are: depression, lack of energy, fatigue, infections, chronic headaches, lack of concentration and memory, hair loss. If your temperature is higher than 36.8° C (98.2° F), then there’s an accelerated operation of the thyroid gland or infection in the body. To ensure the accuracy of the result, repeat the test three days in a row. If your temperature is above or below the permissible limit, it is better to contact your doctor. It can vary in women if the test is made during the menstrual cycle. Low stress, sufficient selenium, vitamin A, cortisol, magnesium, good work of the liver and vitamin B are all very important for proper functioning of the thyroid gland.